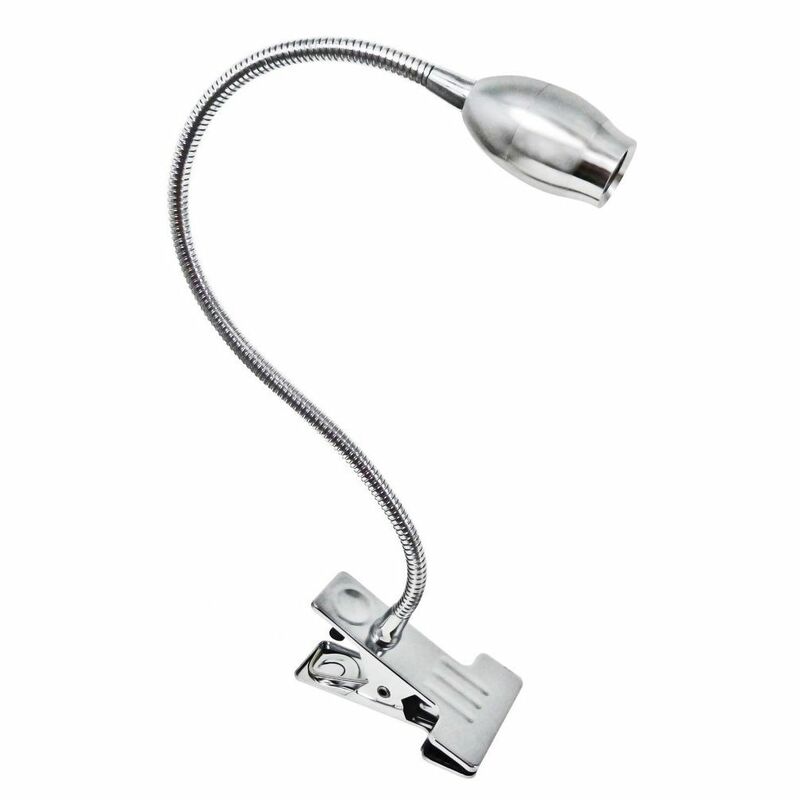 Highly energy efficient LED clamp on lamp in a polished chrome finish. The integrated LED bulb (non replaceable) uses only 3watts which is the equivalent to approximatley 40watts incandescent. Features integrated inline on/off rocker switch. The spring coiled arm can be adjusted to any shape. High quality metal clamp with black rubber protective grips. Maximum height of 42cm. The diameter of the lamp head is 3cm.